I’d like to take a look at natural vs synthetic essential oils. In today’s health conscious world, one might think that this is a “no-brainer,” an obvious choice, but the fact is that this isn’t as black-and-white as you might think. There are legitimate pros and cons to both natural and synthetic fragrance oils. Synthetic products can be cheaper to produce, able to re-create a wider variety of scents and are more convenient since they generally last longer, but are the trade-offs worth it? Let us take a closer look. Genuine Essential Oils are pure distillations of aromatic non-fatty parts of a plant or tree such as blossoms, leaves, roots, bark, resins, etc’… These oils can often be expensive as they take a lot of the natural source ingredient to create, and they are prized for their potent fragrances as well as their medicinal benefits. Plants and the Essential Oils derived from them contain chemical compounds that have various effects on the human body. It is important to familiarize yourself with the oils that you use, because undiluted oils can be harmful to your skin and cause burning and irritation, though once you’re familiar with their characteristics, they are safe to use when blended properly. Those new to aromatherapy should take the time to use additional resources, and consult with their doctor and aromatherapist before using any oils that they are not familiar with. Essential oils on hair can have a softening effect. The oils can do wonders for skin moisturizing, rash / eczema / psoriasis relief, stress relief, skin rejuvenation, tension relief, pain relief, migraine relief, and overall mood enhancement. 100% Pure Essential Oils not only smell wonderful, and can provide enhanced massage experiences and direct physical and mental health benefits, they have also been shown to provide natural disinfectant, insecticidal and anti-microbial properties, making them a safe alternative to conventional disinfectants and insect-repellents. Also, it should be noted that if you’re considering Oil Pulling, always go with Essential Oils! Essential Oils do have some drawbacks, such as the dilution issue mentioned above. Many essential oils are incredibly expensive – For example between 1,500-10,000kg of rose petals are required to extract 1kg of Rose Essential Oil, making it one of the most expensive Essential Oils, even the cheaper Lavender Oil requires 200kg of lavender to obtain 1kg of Lavender Essential Oil. The pure scent of the oil is truly wonderful, and a small amount of the oil will go a long way. However, the price-tag is one that many cannot afford on a regular basis. This reason alone is often enough for many people to choose the much cheaper fragrance oils. 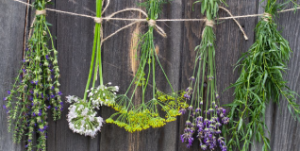 Another drawback of some Essential Oils is that both their quality and scent varies depending on the crop. So the consumer is not always getting the exact same thing even though the product is the same. Essential Oils can also vary by region due to variations in the plant matter used, conditions grown in, etc. This makes it difficult for oil makers to keep their finished products consistent. 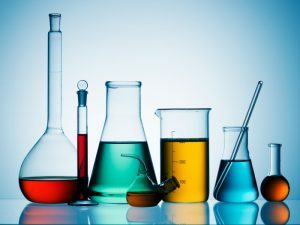 For people simply making items for personal use this is not usually significant unless the person is very particular about their fragrances, but for the oil makers creating products for sale this can pose a very large problem, especially when combined with the fact that natural crops sometimes fail. Many producers therefore opt for easily available artificial fragrance oils instead to keep their finished product consistent. Since the Essential Oils are not altered in any way, despite all their benefits, they can be of a less desirable viscosity, color, texture or even leave an oily residue, which will likely be corrected by a blending with the correct carrier oil, but still requires the effort and added expense of the blend and is not guaranteed to be to your exact liking. Finally, sometimes an Essential Oil that smells really great can be poisonous or an irritant to the human body. This extremely limits the oils aromatherapy applications. Synthetic fragrance oils provide a way to avoid many unpleasant side effects but still benefit from the scent of normally dangerous, or irritating plants. You might not have realized how pervasive synthetic fragrances are, but they are all around us in our daily lives. Air fresheners, perfumes, colognes, cleaning products, laundry products, and most all other household and personal care products contain artificial fragrances made in laboratories from petroleum and a whole host of chemicals, many of which are not so healthy to say the least. These man-made scents attempt to imitate the natural fragrance of Essential Oils at a tiny fraction of the cost, which is the leading reason people choose them. They are also easily found in a broader range of venues than the more specialty Essential Oils that are usually only found in certain grocery stores, aromatherapy shops, health-food stores and online. Synthetic oils are also able to reproduce a larger variety of smells and even create new scents that natural oils cannot. What does a Hawaiian breeze smell like exactly anyway? Since there are artificial preservatives in these products, they can last for years, making them easy to store and use as needed, so you can save money by not needing to buy a fresh one if you do not use the product often. The smell also lasts longer, so you need to use less of the product, and you’ll be getting the exact same consistent scent, viscosity and texture every time. Now on to the drawbacks: Though one can use these products for years without being adversely affected, it is important to realize that synthetic fragrance oils may contain any number of toxins: Benzaldehyde, benzyl acetate, propylene glycol, parabens, and sulfates just to mention a few. In all, there are dozens of commonly used chemicals in these products, 95% of them derived from petroleum byproducts. Mineral oil and petroleum jelly are both byproducts of petroleum production. They are not of natural, botanical origin and are never used in the world of aromatherapy. Mineral oil is used in baby oils and many commercially available moisturizers because it is an inexpensive oil to manufacture. It and petroleum jelly, however, can clog pores, prevent the skin from breathing naturally, prevent Essential Oil absorption, prevent toxins from leaving the body through the natural process of sweating, and they can be absorbed into the body and block vitamins from properly being utilized by our bodies. Manufacturers of synthetic fragrances must add toxic solvents to make their synthetic fragrances spread and dissipate into the air. They also add toxic chemicals to make the airborne fragrance molecules become sticky so they will cling to clothing, hair, furniture, and skin. This causes the smell to persist for hours or days or months. You get a longer lasting effect but of unhealthy chemicals. 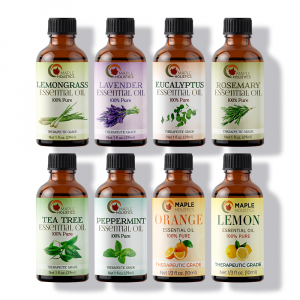 Six Essential Oils At One Low Price! Over 60% of what you put on your skin, the largest organ on your body, gets absorbed into your blood stream, and unlike your kidneys and liver that act as your body’s filter, the skin has no filter whatsoever. On average, 80% of fragrance formulations are comprised of these possibly harmful artificial chemicals and in some cases, 100% of a formula can be synthetic. The skin absorbs these man-made chemicals in a few ways: by direct application, by contact with fragranced items, and by exposure to air containing fragrances that can accumulate in your body and even internally. They can trigger allergic reactions, migraines, asthma attacks, nausea, eczema, and a whole host of other sensitivities. Phthalates- This popular fragrance preservative found in many commercial fragrances is usually highly concentrated and is a known carcinogen and hormone disruptor. Adverse health effects may include damage to liver/kidneys, infertility issues in men and women. Parabens- A commonly used type of synthetic preservatives in many fragrances, they also can interfere with the production and release of hormones and cause many of the problems listed above. As if these weren’t bad enough, some chemicals, like methylene chloride were banned in the 1980’s, however this ruling cannot be enforced due to “trade secret” laws. Among the worst offenders, methylene chloride is a known carcinogen that is absorbed through the skin and stored in body fat. Synthetic fragrances have had several other negative issues come to light over the past few years including a high rate of allergic reactions, as well as the controversy surrounding the undisclosed aroma chemicals and preservatives in every fragrance oil. Because of labeling and “trade secret” laws, it is not possible to determine the exact ingredient list of synthetic fragrances, and many of the worst chemical offenders are simply not listed. Despite this, synthetic fragrances are extensively used in common household products and in toiletries recommended for babies, children and during pregnancy. Even in pure Essential Oils aromatherapists and healthcare providers will advise pregnant women to avoid certain ones, and use them sparingly and cautiously. This warning extends to their usage with young children as well, yet with synthetic oils, many are misinformed or simply uninformed! Unlike the anti-microbial properties that some Essential Oils have, synthetic oils not only do not contain this, but bacteria have proven over and over again that they can mutate to form all kinds of resistant strains of “superbugs” to outwit the synthetic antibiotic products scientists create in labs. Natural, un-patentable, Essential Oils have never created a superbug, and even scientists are now turning to Essential Oils to fight these dangerous bacteria because they realize that the best way to fight this natural problem is with nature. Aside from these possible and very real health concerns, the biggest drawback of a synthetic fragrance oil vs a natural Essential Oil is that the manufactured scent does not contain the therapeutic properties of their counterpart plant based Essential Oils, thus the true benefit and purpose of aromatherapy is lost. The synthetic version of any Essential Oil only attempts to mimic the aroma and not the medicinal properties transferred from the plant material itself. So you’re getting a nice scent and nothing else. For some this may be enough to enhance your mood, but for me the synthetic fragrance just isn’t as appealing as it once was before I knew about Essential Oils. More convenient and easy to find at more vendors. Available in a wider variety of scents than can be achieved naturally. Not dependent on a good crop of source material, so there is always a consistent supply and does not vary from batch to batch. Has a longer shelf life. Generally has a stronger scent and lasts longer. 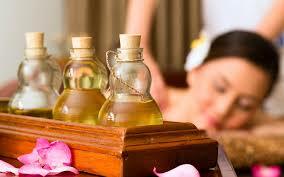 Can duplicate the scent of oils that are toxic to the skin, and render them safe for a range of products. Does not include any of the aromatherapy health benefits that natural oils contain. Can be harmful to the skin and respiratory systems. Contains carcinogens and other harmful chemicals that can lead to skin sensitization and allergic reaction with prolonged use. Does not have the same fresh natural smell, though some can’t tell the difference. Labeling laws enable producers to not label all ingredients, so you can never be sure exactly what the synthetic oil contains. 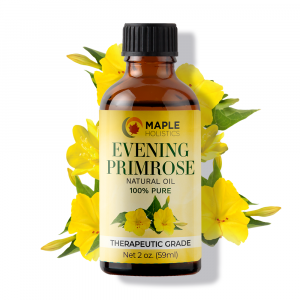 Enjoy the full range of physical and mental health benefits these oils, rich in various nutrients, can provide, including: antibacterial, antiviral, antifungal, anti-septic and anti-parasitic properties and more. Some can be used for non-toxic home-made disinfectants and insect repellents. Have a greater depth and character than the artificial fragrance oils. Do not cling to surfaces and dissipate naturally. With most Essential Oils, unless diluted properly, can also cause burns and skin irritation. Each batch can have slight differences depending on quality and conditions of original crop. Can produce a less desirable viscosity, color, texture or even leave an oily residue. Certain great smelling oils are toxic for the skin, so one cannot use them as perfume. Almond oil is easily one of my favorite carrier oils due to the fact it blends well with a variety of different essential oils. It is rich in unsaturated fats such as oleic acid which are great for nourishing and moisturizing the skin. The oil is also rich in Vitamin E and contains roughly 60 international units of the stuff which makes it really great for treating the hair and skin as well as reducing the amount of toxins found both on the surface of the skin as well as in our bloodstreams. As far as natural essential oils go, almond oil is also contains the highest amount of vitamin K per dosage that I’ve encountered in essential oils. In fact, many would argue that using a combination of almond oil, eucalyptus oil and evening primrose oil can treat dry and damaged skin or hair more effectively than most conventional products and keep your hair healthy and nourished at the same time. Lavender oil has been used as a medicinal agent for centuries now and is widely known as being a potent natural antiseptic with antimicrobial, anti-inflammatory and analgesic qualities to name but a few. 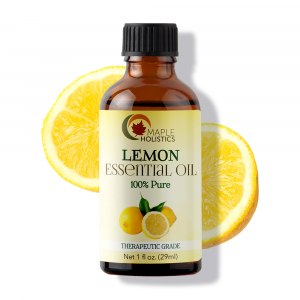 As far as essential oils go, this is easily one of the most versatile out there and can help to treat almost every ailment and topical skin issue you could think of. It works great as a natural toner and can even be used to help reduce anxiety. These are both important aspects of treating acne prone skin. It’s also a great natural pain reliever and can work wonders on your hair – helping to balance out oils and reduce inflammation on the scalp i.e. dandruff. If you’ve ever had a cold or a sore throat before during a long winter, then you’ll know first-hand how great a warm cup of tea with honey and lemon juice can make you feel – almost instantly! 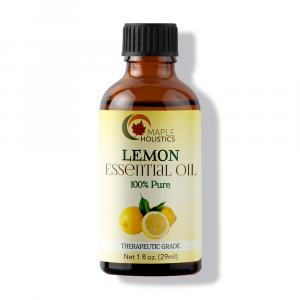 This is because lemon essential oil is rich in d-limonene which is a potent natural antiseptic and anti-inflammatory agent that is commonly also found in oranges. It’s highly effective at reducing the amount of germs and bacteria that occur on the surface of the skin or scalp – which makes it a highly effective natural skin toner and acne treatment. It also helps to reduce the signs of dandruff and scalp inflammation and can help to treat bacterial and fungal infections quickly, effectively and naturally. It’s great in a variety of DIY recipes, including shampoos, conditioners, moisturizers, toners and facial masks and can even be used to make homemade soap, candles or in a purifier for general air purification. Ylang Ylang is one of the most popular scents used these days and is included in a variety of different conventional products such as makeups, shampoos, conditioners and perfumes or fragrances. It is an incredibly powerful scent that can help to relax the mind and body and relieve stress. Stress can be linked to almost every health ailment we’re susceptible to as humans, so by cutting the stress levels down, you’re ultimately increasing your chances at being healthier for longer. It’s also a great anti-inflammatory agent and can help to reduce the pain associated with inflamed skin (such as pimples) and the root cause of dandruff in most hair types. It’s also great for taking nice, long relaxing bath’s! Tea tree oil has been used for centuries as a natural antiseptic agent and can really work wonders when it comes to treating minor cuts, wounds, infections, insect bites and is known to be a strong immune booster. It’s especially great for treating hair and skin infections such as lice or other bacterial/fungal infections. I’ve been using tea tree oil for years and have always had positive results with every application. It has a really potent natural scent that helps to keep pesky insects and mosquitoes at bay and is really great at detoxifying the blood. So if you’re ever feeling fluish or rundown or simply want to treat a minor cut or wound, then tea tree oil is the all-round oil for you! At the end of the day, for me personally, though there are many advantages to synthetic oils, not the least of which are the cheaper price, nothing beats the benefits of 100% pure Essential Oils. 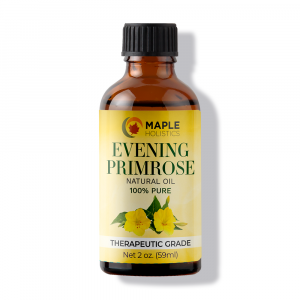 I only discovered these oils when I started getting aromatherapy massages after my back injury (which you can read about in the first series of this set of articles), but they have become a mainstay in my home. I’m always stocked up on Tea Tree Oil and Lavender Oil which are two of my favorites. When used correctly Essential Oils are incredible for the many reasons written at the beginning of the article and have certainly helped enhance my quality of life. I hope that this article encourages proper research and safety awareness rather than discouraging people from using natural Essential Oils. Like most things in life, there is often a positive and negative, and the more informed you are, the better prepared you are to utilize the positive to the fullest and avoid any negative problems. Join me next time when I explore some of the more exotic and strange massage techniques from around the world. Till then, have a wonderful day!